Hye-Tech Auto is an auto service center serving Covina and the surrounding communities with quality and affordable auto maintenance services. Our honest, experienced auto technicians deliver expert vehicle maintenance with exceptional customer service to keep your car, truck or SUV running smoothly and safely to help prevent accidents and costly repairs down the road. We're a small shop with a big heart, unique in that we want to see our customers pay as little as possible to keep their cars in great shape. 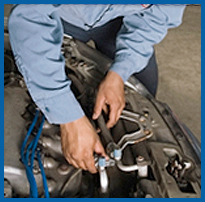 Focusing on affordable auto maintenance by offering free tire pressure checks, free fluid checks, free check engine light diagnostics, and regular oil changes and tune-up services, we carefully inspect your car with every service to alert you of any potential problems you may want to address before they become a safety hazard. 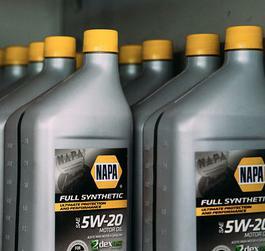 For your next oil change or auto service, call Hye-Tech Auto in Covina at (626) 332-5452. Don't be fooled into thinking you need to overpay at a dealership service center to maintain your warranty. New vehicles require regular maintenance to keep the warranty valid, and Federal law allows for qualified independent auto shops to service your vehicle and keep your warranty valid. Save money by trusting local, independent experts with your foreign or domestic vehicle. Call Hye-Tech Auto for your regularly scheduled vehicle maintenance! For exceptional auto service performed by friendly, experienced professionals, call Hye-Tech Auto at (626) 332-5452 and ask about FREE tire pressure check, FREE fluid checks, FREE check engine light diagnosis and vehicle maintenance in Covina! "I started going to Hye-Tech Auto a couple of years ago and now won't go anywhere else. The attention this company gives the customer and the care they give your car ... well, why would I want to even try another place when I think I've found the best? Fair prices, always willing to fit you in the same day you call ... Thank you, John, for all you and your staff do for both our cars." "I took my car to Hye-Tech and John and his crew took excellent care of me. Very professional, and customer service is second to none! Thanks for being honest and taking care of your customer's needs."